We are looking for young people aged 16-24 with a passion for social change who are keen to gain experience in campaigning and activism. 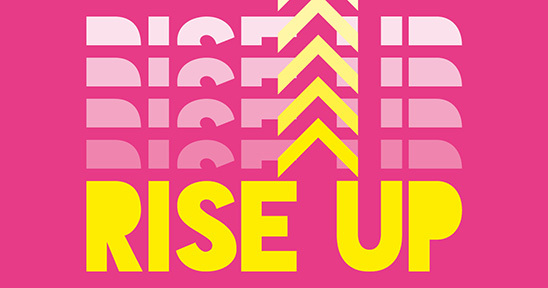 Rise Up is a fully funded, one year course for young people interested in achieving social change. If you’re between 16 and 24 and want to build the skills to make a positive impact on the important issues of today, then read on. You can see a session overview here. We are one of the world’s largest human rights organisations – experts in campaigning for justice wherever it has been denied. We work with activists and experts across the world who are delivering positive change in some of the most difficult places. We want to share this experience so together, we can Rise Up. We believe everyone’s got the right to shape society no matter where you’re from or what you do. But often it’s hard to know where to start. So we’re going back to basics, offering a course that will help build skills, knowledge, confidence and networks to make the positive bring about the change you want to see. We’re looking for ideas people. Aged between 16-24. From across the UK. We’re not interested in grades, or professional experience. We want to know that you’re committed to achieving positive change in your community and exploring how to do it. We strongly encourage applications from people of colour, non-binary people, LGBTQI folk, people living with disabilities, young parents, refugees and migrants, survivors and those not in education, employment or training and those from the traveller community. This is by no means an exhaustive list. We commit to provide relevant support to anyone with additional needs, including creating a safe space and welcome support workers to accompany participants in the sessions. The course is made up of four weekend sessions taking place over one year from September 2019 to June 2020. The sessions will include both theory and practical skills, and focus on how to apply these to real life situations. The course will take place at the Human Rights Action Centre, our HQ in London. All travel expenses, food, accommodation, childcare, and caring costs will be covered as part of the training. You will be able to submit your application via an online form, or by video. You can also apply with a friend, and do the application together if you prefer. Applications open: Monday 13 May 2019. Does this opportunity sound right for you?